The research is clear: Students who are in class every day will be more successful than those who miss out. Students who are chronically absent – or students who miss more than 10% of school for any reason – are at a much higher risk of dropping out of school or failing their classes. This is an average of 2 days per month. ImpactTulsa used data to identify the student and non-student factors to develop a predictive model that can be replicated and customized by any school district to understand patterns and trends in attendance and chronic absenteeism. 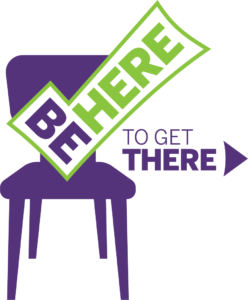 School administrators don’t have to wait a year to review attendance data and make changes to intervene with a student who could be at risk of becoming chronically absent: This model can be used with 86% probability by the 20th day of school. Using this tool will help identify at-risk students before they are chronically absent and help schools develop early intervention plans with students and families. Practicing a tiered approach of interventions that are paired with interactive modules for students at varying levels of risk. Safety net gallery walk of students who were predicted to be chronically absent by the end of the school year. Teachers and other school staff identified strong relationships and important background information to inform strategic efforts to support these at-risk students and their families. Delivering a wide range of student, family, and teacher incentives for improved attendance, perfect attendance, and decreased chronic absenteeism that are rewarded consistently and more frequently. Personal phone calls from teachers in order to build personal relationships through caring conversations with families intended to uncover the root causes of attendance dips. Poster series delivered to all schools with messaging that encourages school every day. Chronic absenteeism is directly tied to low student performance and it is critical for ImpactTulsa to collaborate with district and community partners to improve attendance rates in order to achieve our vision of guaranteeing a high-quality education for all students.